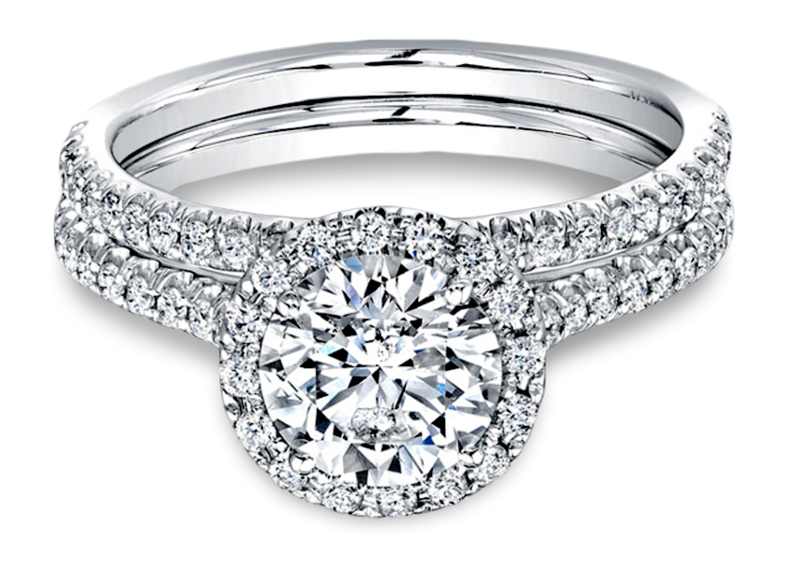 Wheat Jewelers offers one of the largest engagement ring selection in Michigan with over 3,000 engagement rings and wedding bands in our store. Our collection continues to grow due to our association with jewelry designers who assist us as we continually add new engagement ring designs. 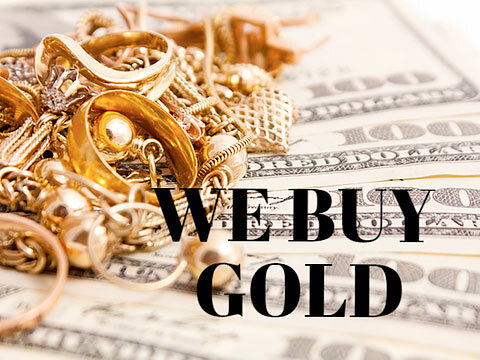 Wheat Jewelers also specializes in custom jewelry design and has an onsite goldsmith to help create a one of- a -kind piece of jewelry that will last for generations to come. 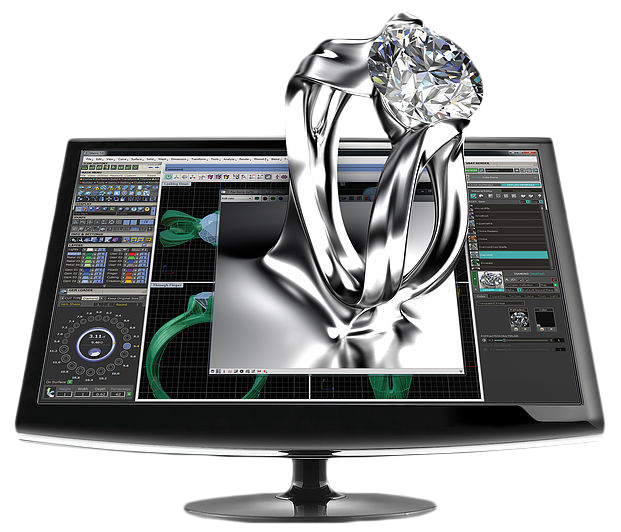 Make an appointment to sit down with one of our custom jewelry designers. 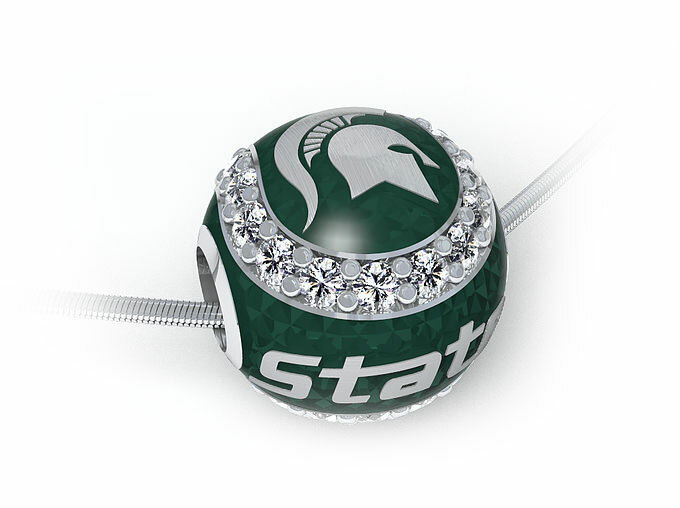 We have MSU Spartan Jewelry of all kinds to help you represent your love of Michigan State University. 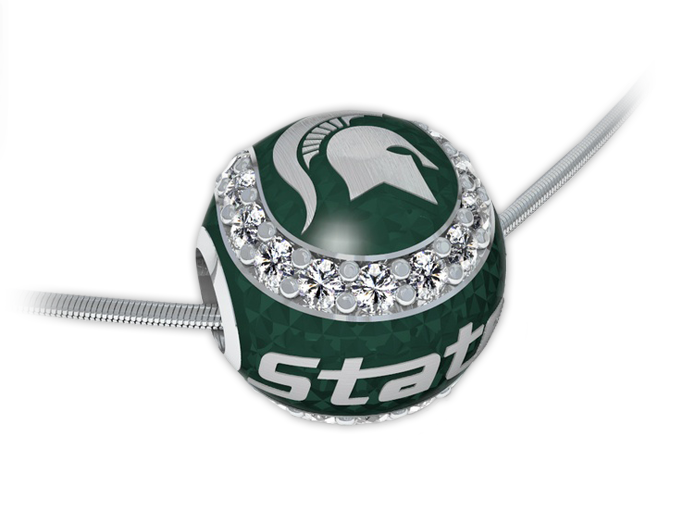 Wheat Jewelers custom designs and manufactures MSU Spartan jewelry right in-house. With our access to over 20,000 loose diamonds we ensure you get the best diamond for the best quality and price. Customer service was awesome. I was a winner of the MSUFCU Graduate Makeover and they treated me very well. I was able to choose from the selected jewelry and I have to say the Spartan Collection is a amazing. I ended up buying a ring from there. Great Company! Wow. Kevin did an amazing job for my wife and I! He went above and beyond for us to create something beautiful and sentimental. My wife and I met overseas as English teachers in China. Most of our wedding preparations were from overseas. Kevin was patient with us as we communicated with him via email and video chat (China is 12 hours ahead of the US!). My wife's engagement ring and wedding band are very sentimental. The center stone is my mother's stone from her ring and the stones in the wedding band are from my wife's grandma's ring. He was also able to melt down the metal from my wife's grandma's ring and put it into hers. In addition, I had Kevin make a pendant necklace by using the center stone of her grandma's ring as a gift on our wedding day. My wife and I are well pleased with Wheat Jewelers and would recommend them to anyone who wants caring people who are professional and patient. Extremely happy with the product and service. Kevin Wheat went above and beyond in every regard with the design, creation, and purchase of my engagement ring. I would highly recommend Wheat jewelers! I had a very special ring passed down to me that I wanted to use in creating a new wedding ring (we've been married 12 years and my first ring got damaged beyond repair). Not only was the service impeccable but I felt this very special piece (both the one the diamond was being taken from and the new ring it was going to be put in) were handled with the utmost care and respect. Just picked up the most amazing custom piece! Five starfish pendant made into in a Y shape with different colored stones in each starfish. From my stick figure awful drawing inspiration, to see such a wonderful piece come to life is fantastic. The precision with the whole design process is impressive. Perfectly cast and the stones have fantastically saturated colors. I could not be more pleased with the service and the products from Wheat Jewelers both for this piece, a pair of earrings purchased at Christmas, and our wedding bands. If there were a way to give more stars, I absolutely would. There is a reason they have such a high rating. I worked with Kevin to purchase an engagement ring for my fiancée and received an extremely high level of customer care throughout the entire process. He was willing to listen to what I wanted to develop the perfect ring. He also stayed in contact with emails and calls. Highly recommend Wheat Jewelers. Customer service is amazing. Thsee guys are awesone! My fiance and I had my engagement ring made here. We brought in 3 diamonds we got from my mom, and they worked with us designing the perfect setting. Although the first time the ring came out too chunky for me, they recast it in a slimmer design for no cost and had it back to me within 24 hours. Great to work with, wonderful quality, and I love my ring! Wheat Diamond Jewelers is an award winning family owned jewelry store and custom jewelry manufacturer. 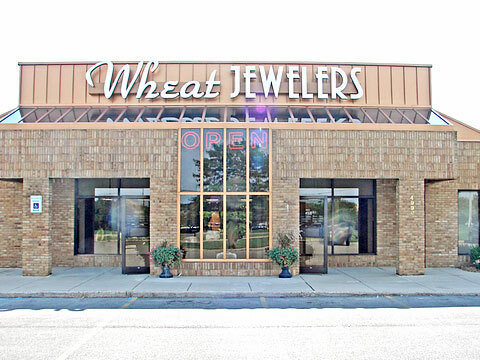 Wheat Jewelers is a local jewelry store in Okemos, Michigan that has been serving the greater Lansing, Michigan area for over a quarter of a century. 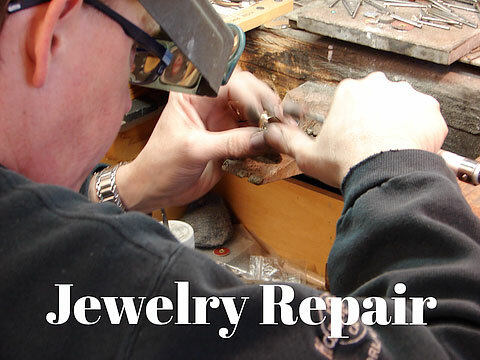 Along with owner Kevin Wheat, the store has a certified gemologist and two goldsmiths. Wheat Jewelers offers one of the largest engagement ring selection in Michigan with over 3,000 engagement rings and wedding bands in our store. Our collection continues to grow due to our association with jewelry designers who assist us as we continually add new engagement ring designs. 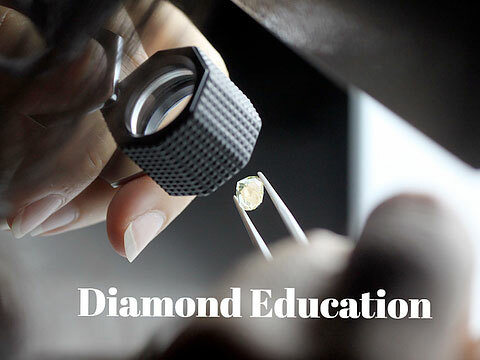 With our access to over 20,000 loose diamonds we ensure you get the best diamond for the best quality and price. Wheat Jewelers also specializes in custom engagement rings and custom jewelry design and has an onsite goldsmith to help create a one of-a-kind piece of jewelry that will last for generations to come. Make an appointment to sit down with one of our custom jewelry designers. In addition to our extensive options for bridal jewelry and loose diamonds you will also find an array of fashion jewelry including earrings, pendants, bracelets along with other fine jewelry that will make perfect gifts for any occasion. 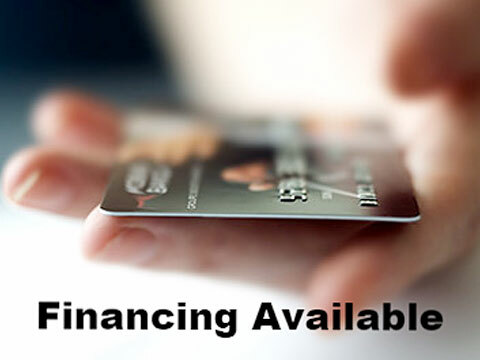 We also offer cash for gold for top dollar. Our reputation as a stellar manufacturer of the highest quality merchandise, excellent prices, and superb customer service that offers extensive knowledge as well as friendly and prompt service suggests you should shop Wheat's first! Feel free to shop online or come in and see us.